Is the 2017 Honda Ridgeline the Safest Truck on the Market? When people think about trucks, safety may not be the first thing that comes to mind. However, automakers like Honda focus just as much on safety as they do capability. This is clearly proven by the 2017 Honda Ridgeline, which scored a 5-Star Overall Vehicle Rating from the NHTSA. 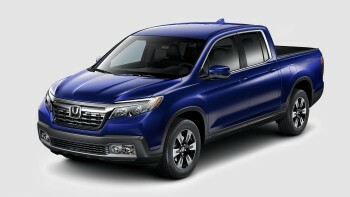 * Keep reading to learn more about what it takes to get this rating and why the Ridgeline may just be the safest pickup truck around. Aside from being one of the safest pickup trucks on the market, the 2017 Honda Ridgeline is also tough, durable, feature-packed, and built for adventure. Learn more about the great things you can expect from the Ridgeline as well as the great deals we have to help you get it at a low price today at your nearest West Michigan Honda Dealers location. **The 2017 Ridgeline and Pilot with Honda Sensing™ and LED headlights, and the 2017 Accord Sedan with Honda Sensing™ and projector beam halogen headlights have been awarded the coveted 2017 TOP SAFETY PICK+ rating from the Insurance Institute for Highway Safety (IIHS) in recognition of their superior crash safety performance.